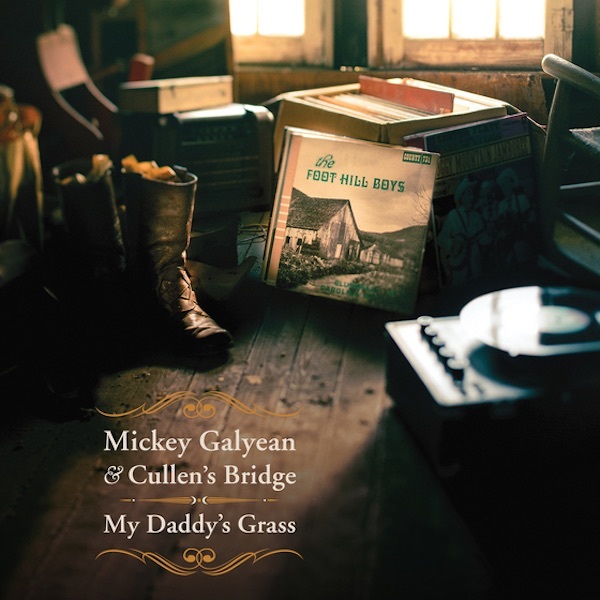 Rebel Records has announced the release of “I Found My Daddy’s Grass” the first single from Mickey Galyean & Cullen’s Bridge’s upcoming debut recording My Daddy’s Grass (REB-1856), which will be released August 5. The song is available from iTunes and Amazon or receive a free download of the single by pre-ordering the album on iTunes. Those who preorder the album will receive it at a special discounted price of $7.99 up through the street date. “I Found My Daddy’s Grass” is a song that will resonate with many of today’s musicians who grew up in bluegrass families. 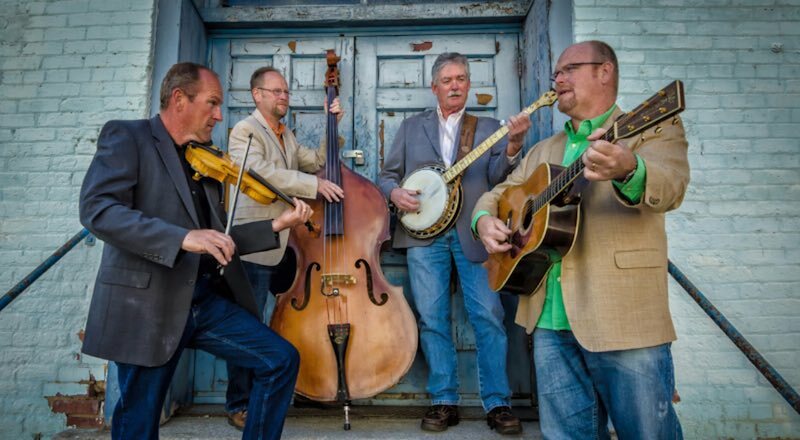 It was written by the band’s banjo player Rick Pardue, an excellent songwriter who won IBMA’s 2012 “Song of the Year” award for the popular bluegrass hit “A Far Cry from Lester & Earl” performed by Junior Sisk & Ramblers Choice. “I Found My Daddy’s Grass” tells the poignant story of a man going through his father’s attic upon his passing. Unexpectedly, he finds a box full of old bluegrass records and upon listening to them comes to love the music himself. I was upstairs at home one day and looked around at my 50 year bluegrass record collection and thought, ‘If I leave here today who will listen to the them?’ I imagined my children going through them and realising what treasures they are – Mark Pardue. The album, My Daddy’s Grass marks a renewed collaboration between Rebel Records owner David Freeman and the Galyean Family. Freeman recorded Mickey’s father, the legendary Cullen Galyean, for his County label nearly 45 years ago when Cullen fronted The Foot Hill Boys, a popular “regional” band out of the Mt. Airy, North Carolina area. It is a unique and very special event for Rebel Records to present this release from Mickey Galyean & Cullen’s Bridge. Mickey’s dad, the late Cullen Galyean, was a special musician—one of the best 5-string banjo pickers of his era. Mickey has absorbed and inherited everything he needs from his dad and his family, and we are excited to be a part of handing down this great musical tradition from father to son – David Freeman, Rebel Records. In addition to Mickey’s powerful lead singing and guitar playing, The Cullen’s Bridge lineup features Brad Hiatt on acoustic bass and baritone vocals, Rick Pardue, who plays banjo and sings tenor for the group, and Billy Hawks, a veteran fiddle player who has won the Galax Fiddler’s Competition and worked with a number of prominent acts including Doyle Lawson & Quicksilver, Big Country Bluegrass and Junior Sisk & Ramblers Choice.